The North American leg of the Anti World Tour ended on May 18th in Atlanta. According to all the lucky people who have attended the tour so far, it’s been really good. Right now the singer is New York enjoying a break before the tour resumes in Amsterdam on June 17th. Here’s a look at what she wore backstage to meet with fans. Click here if you missed any of the previous roundups. I’m not sure how I missed this one but it only popped up on my Twitter timeline recently. 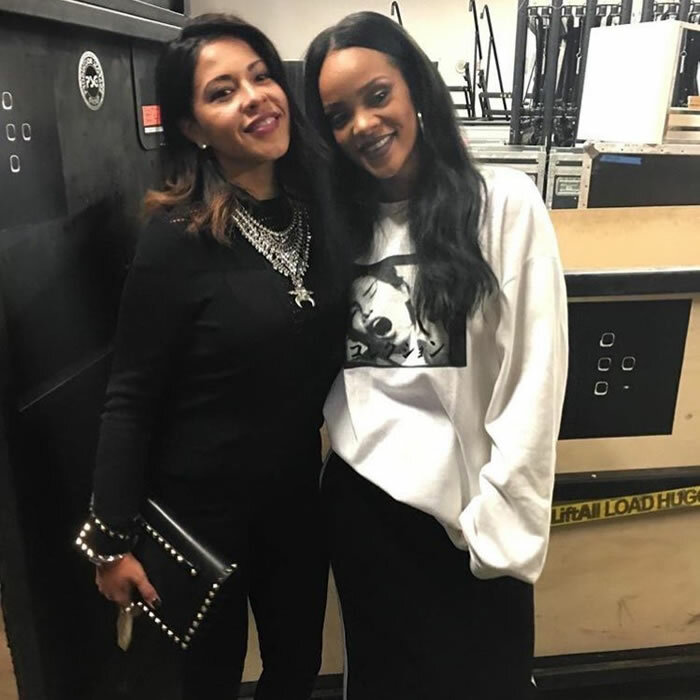 This was taken while Rihanna was in Seattle on April 24th. Most of her backstage looks, including this one, have been pulled from her Fenty x Puma Fall 2016 collection. She wore a white sweatshirt with a graphic on the front and it has Japanese letters on it. 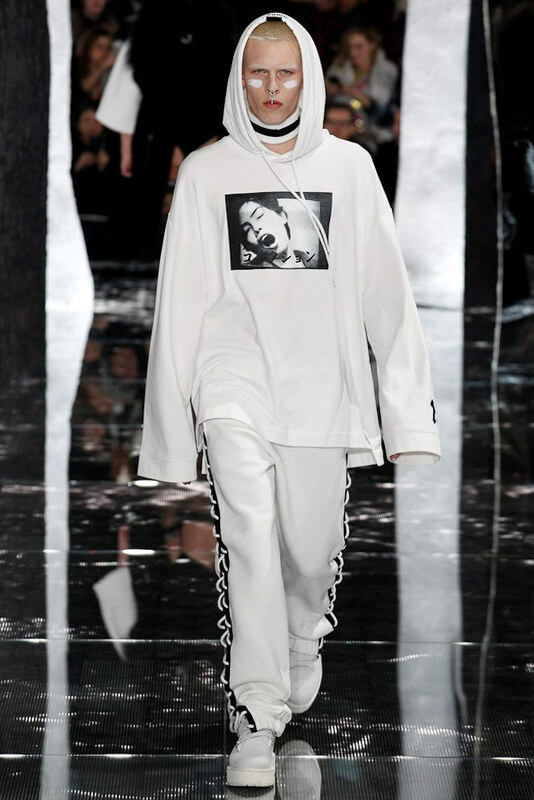 Above is the hooded version as it was presented on the runway. 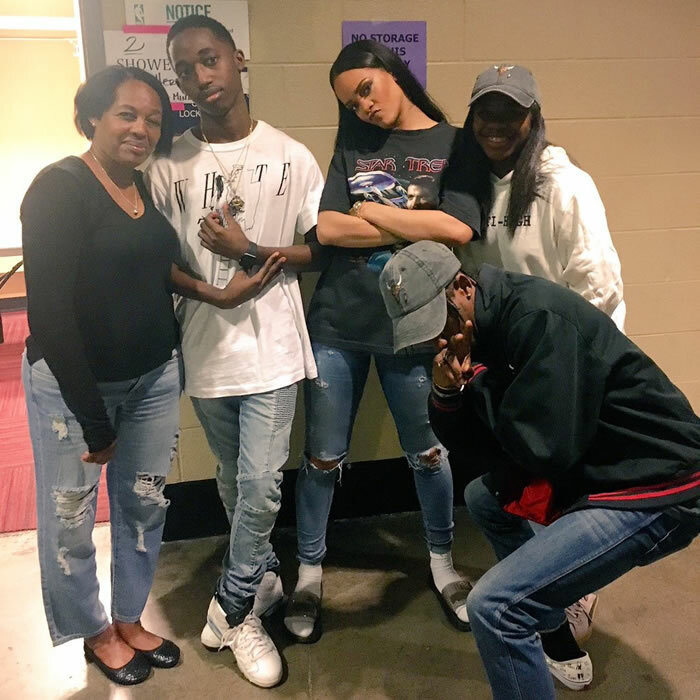 Rihanna and Travis Scott (who opened the tour on all the US dates) posed with a group of fans when the tour stopped in Houston on May 15th. You’ll note she’s wearing a Star Trek tee. She wore a different one recently and it was noted that her Dior sunglasses were inspired by a Star Trek character. Who knew she was a Trekkie? Rih’s tee celebrates the Star Trek movie and it dates back to the early 90s. She paired it with her current favourite Citizens of Humanity jeans: the Premium Vintage Racer in Crosby. These skinny jeans have rips in the knees and whiskering on the thighs. You can check out the Racer in another colour over at Revolve ($348). She also wore a pair of Puma slides that seem to be unreleased. 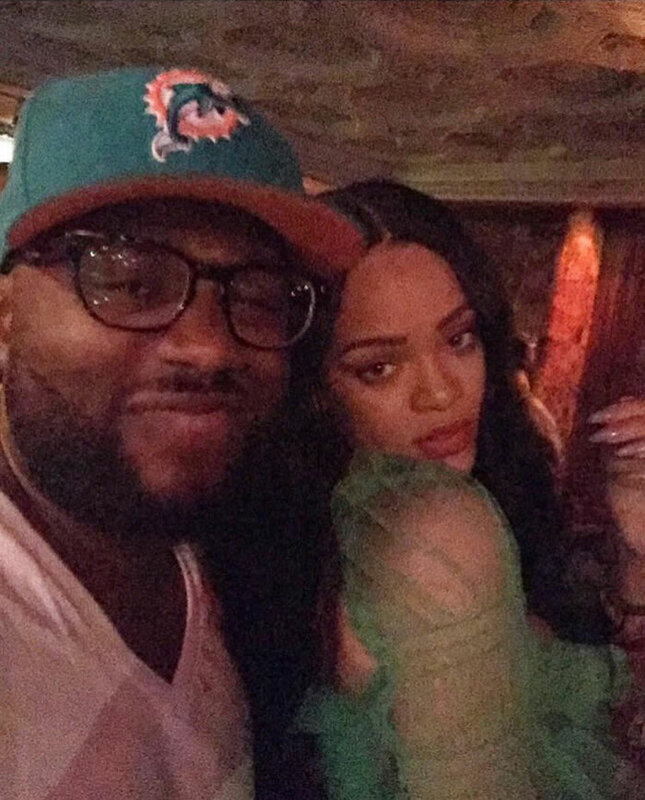 Technically this isn’t a fan photo since this guy is in Rih’s band but it’s the only one we got after the show in New Orleans on May 17th. This one was tough since all you can see is a sleeve but I did manage to track down the dress. 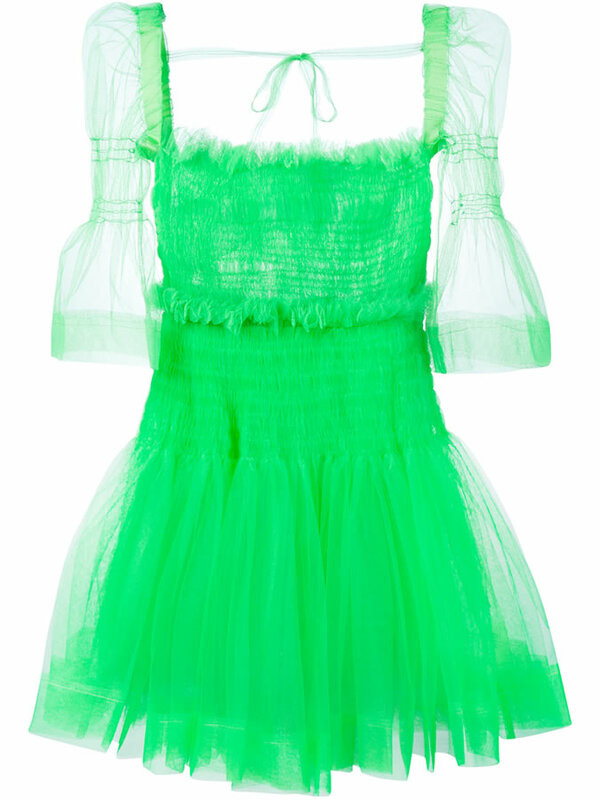 The Barbadian pop star rocked the green Sophie dress from Molly Goddard‘s Spring/Summer 2016 collection [Look 10]. Goddard’s designs surely appeal to the more playful and girly side of Rihanna. Sophie is a tulle mini dress with cropped sleeves, a voluminous skirt and a self-tie fastening across the upper back. You can purchase it from Browns for $1,545. On the final day of the US leg Rih chose one of her own designs. This is a dress that was featured in Look 15 of the Fenty x Puma collection. The black and white dress is ankle length and features a front lace-up closure. The singer was spotted in a different coloured version of this frock just a few days ago. Hopefully, the impromptu meet and greets continue in Europe and of course, I’ll keep you posted on what she wore.